Automation Workshop Manager is the main interface of the application. Be it new Task creation, IT process overview or Task modification, almost all user interactions with the application begin here. Manager is designed in a way to provide easy access to all important Automation Workshop features as well as automated Tasks themselves. User can see the last events, access various controls, options and settings, as well as take control over every essential process. Automation Workshop Manager is where most of the work is done when setting up new Tasks or overviewing past and current automated processes. Shows Tasks and task folders in a structured view. Allows Task creation, modification and removing. Displays current Automation Workshop activity. Allows manual Task execution on demand. Features direct links to Queue and Log Managers. Besides information presented in Manager, it is essential to have direct control over actually running Tasks and ability to see the past processes. Operations Manager · summary overview on Automation Workshop performance. Queue Manager · overview on actually running processes and options to intervene. Log Manager · shows information on past events, while allowing sorting and filtering. Task Finder · allows easy finding of a Task by its Triggers, Actions or other features. Event Details · shows detailed performance information categorized by its type. Variable Wizard · interactively connect Triggers and Actions. Task Wizard · interactively create automated Tasks. 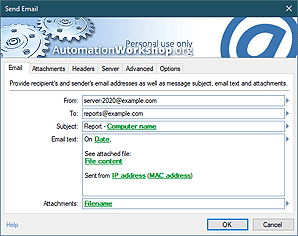 See detailed descriptions on Automation Workshop main interface features in an online knowledge base. Workshop Manager · details on main interface and its features. Menu · overview on menu functions. Toolbars · using toolbars to manage Tasks. 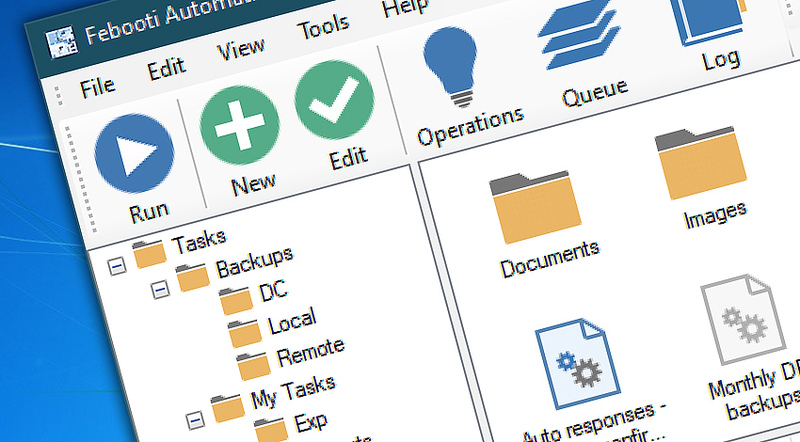 Folder & Task pane · on organization Task folders and files. Log pane · shows currently running processes. Status bar · shows service connection and Task triggering status.